The fourth segment of Interstate 275 brought the highway from its temporary end at a point just south of 50 Av N to a point just south of 22 Av N, bringing interstate access to both 38 Av N and 22 Av N. When this section of Interstate 275 opened, a new temporary end was established at 22 Av N until Interstate 275 was extended further south to 5 Av N a couple of years later. 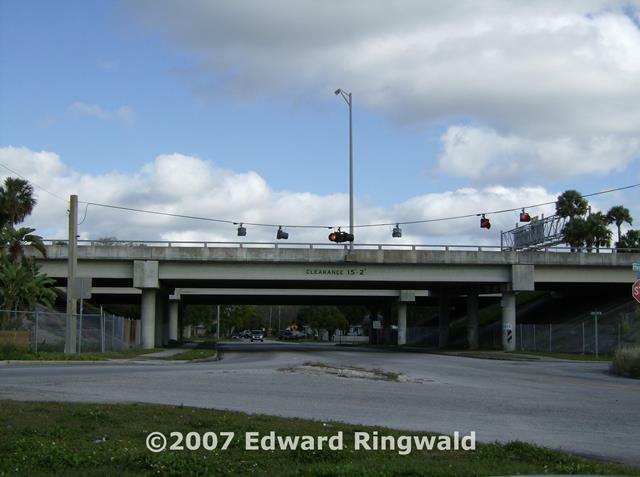 An earlier version of Interstate275Florida.com combined both 22 Av N and the exit to the north when the highway was built, 38 Av N; for your convenience I have separated both the 22 Av N (Exit 24) and 38 Av N (Exit 25) topics. If you are wondering why the median on Interstate 275 at 38 Av N is so wide, that is a good question! Back when Interstate 275 was on the drawing boards, plans were being made for an expressway system in which an interchange would have been built at 38 Av N. Unfortunately, plans for this expressway - which would more than likely have connected somehow to the planned Pinellas Expressway (which was also nixed) following what we know today as the Pinellas Trail - were nixed before Interstate 275 was built. 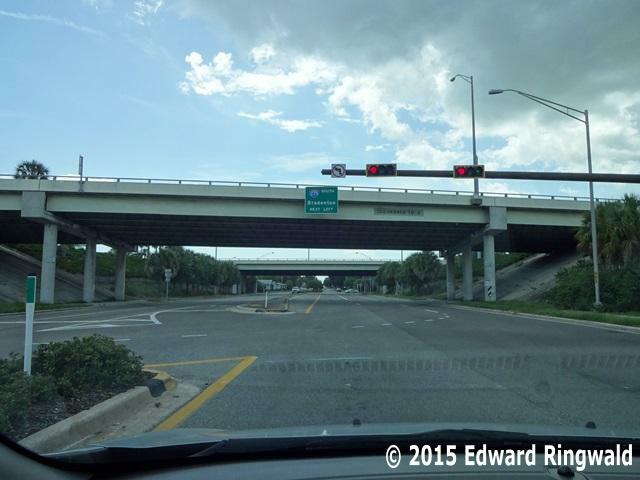 38 Av N is a cross St. Petersburg street running from Tyrone Blvd N in the western part of St. Petersburg to the Shore Acres neighborhood via 40 Av NE, as 38 Av N becomes 40 Av N east of 4 St N. 38 Av N, being a county road, is also known as CR 184. 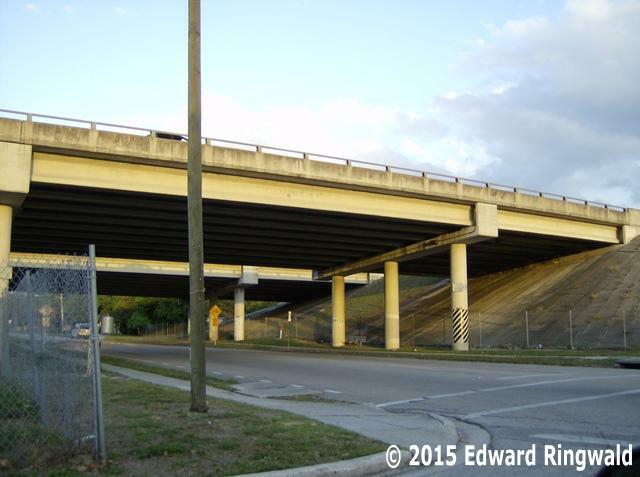 You can reach the Allendale and Shore Acres neighborhoods by traveling eastbound on 38 Av N from Interstate 275. You can reach the VA Bay Pines Medical Center as well as Madeira Beach (via Tyrone Blvd N) by traveling westbound on 38 Av N.
If you are wondering why there is signage directing motorists to 22 Av N for the VA Bay Pines Medical Center when in fact it would be more quicker to use 38 Av N, that is another good question! 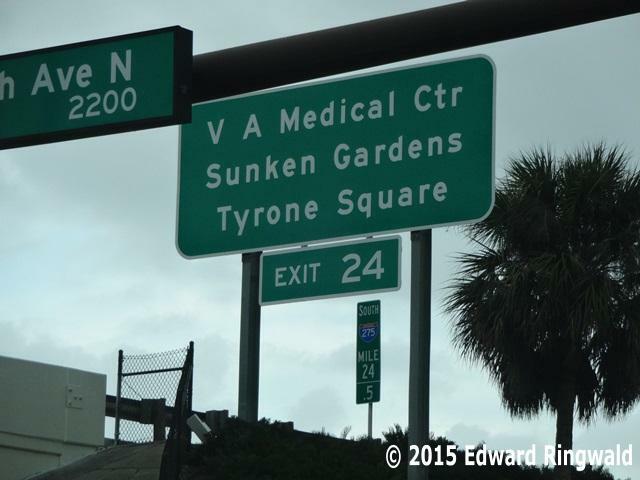 For those headed to the VA Bay Pines Medical Center from the south 22 Av N would be a logical choice as it would take you to Tyrone Blvd N, then northwest on Tyrone Blvd N (which changes to Bay Pines Blvd N at Park St N) to the VA Hospital. However, I cannot understand why those headed to the VA Bay Pines Medical Center from the north are being asked to use 22 Av N instead of 38 Av N which is a quicker route: According to a Dr. Delay article in the St. Petersburg Times the reason the VA Medical Center at Bay Pines could not be signed is that Federal guidelines (the Manual of Uniform Traffic Control Devices, the Bible of all traffic sign standards in the United States and so adopted by the Florida DOT) call for up to two destinations on a guide sign and 38 Av N is at the two destination limit. 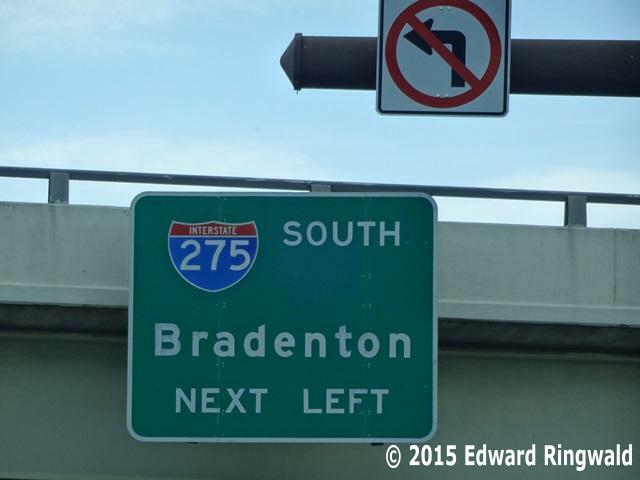 The two destinations on 38 Av N on southbound Interstate 275 are Madeira Beach and Redington Beach. Notable Points of Interest: Allendale and Shore Acres neighborhoods, both to the east. 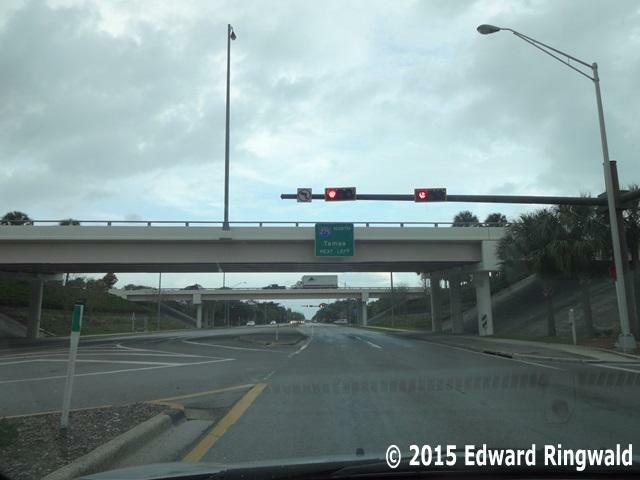 The VA Bay Pines Medical Center and Madeira Beach(via Tyrone Blvd.) are located to the west. Good to Know: St. Petersburg's former Amtrak station - today the site of a private business - is located on 38 Av N east of 34 St N (US 19) just as you go under the railroad underpass. Amtrak service to St. Petersburg as well as Clearwater was discontinued in February 1984, replaced with dedicated motorcoach service to Tampa's Union Station. Your Interstate275Florida.com webmaster wholeheartedly supports the eventual return of passenger rail service - whether it may be Amtrak, light rail or commuter rail - to St. Petersburg, a much needed solution to Interstate 275's perpetual congestion not only in St. Petersburg but the Tampa Bay region as a whole.